A great Oktoberfest lager on my bar. This is one you need to try. An Octoberfest style can be enjoyed anytime of the year, in my opinion. But what makes it great is that it is a seasonal brew. This is why beer lovers enjoy the coming of fall. 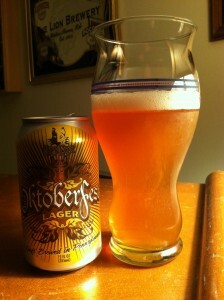 And the brewers at Slyfox brewery in Pottstown, Pennsylvania have crafted a fine beer that is their Oktoberfest Lager. This brewery packages their beers in cans and this in no way should deter you from having one. The beer it wonderful. This beer in the glass has a hazy body clarity, a nice gold/amber color and lively carbonation. The head was average size, fizzy and has a nice white color to it. It didn’t last that long. This Oktoberfest has a nice malt aroma complemented with the hops that lend slight grapefruit hints. The taste of this beer has a nice malt flavor. 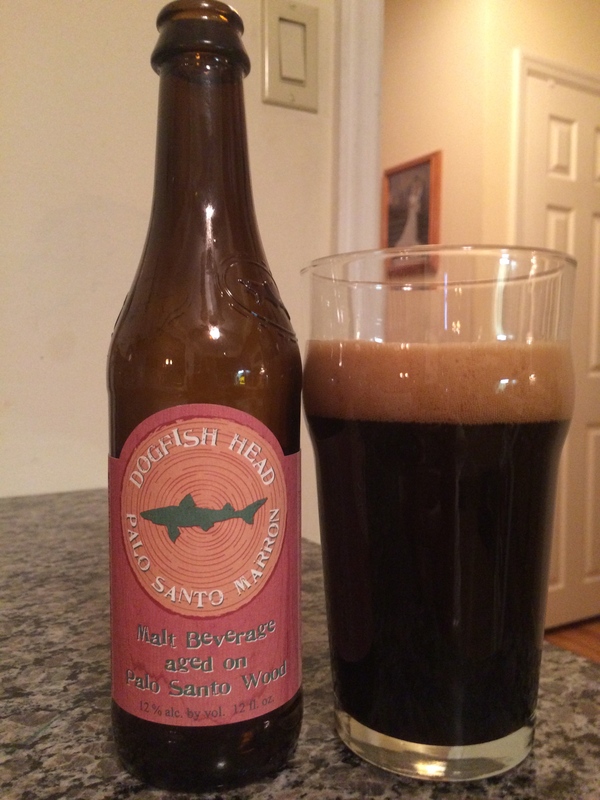 I detect caramel notes and this adds depth to this beer. The hops and the right amount of bitterness with grapefruit flavors that balance out this Oktoberfest brew. The finish has an average length but in the end your palate is pleased. This beer is very enjoyable to drink and I highly recommend it. If you are able to get a case, purchase it. And if you have a case, share some. Drinking good beer with good friends are times to be enjoyed. Newcastle Brown Ale – Miners had it worse than you.